Glenn and his wife Lisa are members at Whitesburg Baptist Church in Huntsville and have two pre-teen sons, Jake and Luke. Glenn co-teaches a small group Bible class at Whitesburg, and is an adjunct faculty member at Legacy Christian University and at the University of Alabama in Huntsville. Glenn’s passions are coaching and leadership, and he longs to see Christians following Christ daily and creating disciples. One of his favorite activities is taking his sons on long trail hikes and incorporating a Bible study time. Glenn has a PhD in Electrical Engineering, an MS in Mathematics, an MS in Management of Technology, an MA in Theology, and a BS in Electrical Engineering. 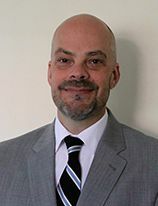 He is very active in the Huntsville engineering community and serves on the national council of examiners (NCEES) to create the examination that is administered for professional engineering licensure in the United States. Glenn first became involved with Doulos Partners in March 2013 when he met David Johnson at a missionary conference in Huntsville. David’s passion to see Christ’s Kingdom expand globally was very exciting and after Glenn shared this vision with Lisa, they both knew they had to become donors. Through God’s grace, Doulos support has continued to grow and Glenn loves seeing other believers catch the vision as they hear missionary field reports.